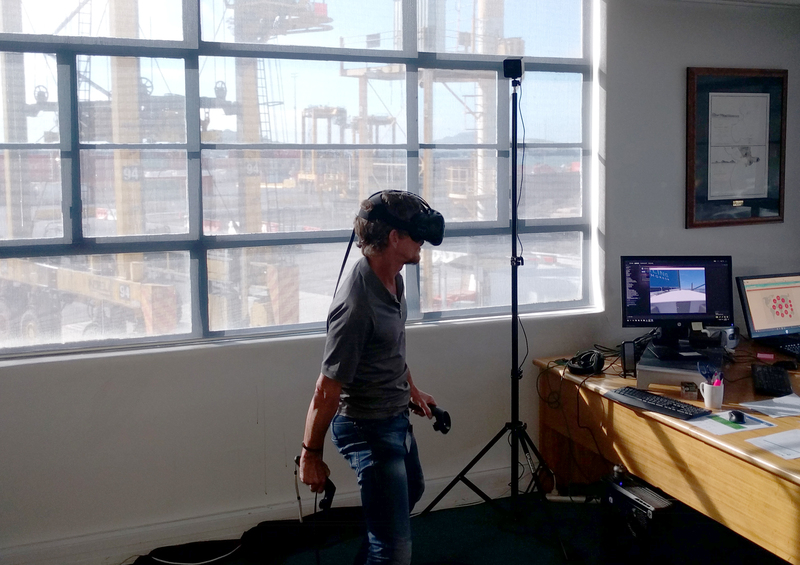 Christchurch – Leading apps design company LWA Solutions is launching a world-first virtual reality pilot training app with the Ports of Auckland early next year. Maritime pilots people guide ships safely into harbours all around the world. As part of their job, they have to get on and off moving cargo ships by means of a rope ladder – a demanding and risky job. The LWA app uses virtual reality to safely simulate the experience maritime pilots go through when getting on and off ships. LWA chief executive Atta Elayyan showcased the virtual reality training solution at the recent New Zealand Maritime Pilot Association’s 30th anniversary annual conference in Christchurch and it received overwhelmingly positive feedback from pilots and trainers. “It’s a highly cost-effective training method, safely simulating highly variable conditions making it superior to current training methods,” Elayyan says. “We believe virtual reality training will become an industry standard in the very near future. It provides a risk-free way to prepare trainee pilots for the tasks they will need to undertake during their job and can also efficiently vet out those who may not be cut out for the role. “We understand there are no solutions like this anywhere in the world using virtual reality headsets. Our simulation is targeting the ‘embarkation training’, which is the physical process of safely maneuvering outside the pilot boat and climbing a nine metre ladder to board the ship, while both the pilot boat and ship are under way. LWA Solutions has also produced a special app for the Ports of Auckland which is significantly helping in the improve piloting of ships into the harbour. Their app is the first fully digital piloting application of its kind in Australasia. It has increased the efficiency and reduced potential human error by consolidating multiple processes into a single app highlighting ship schedules, tidal calculations and manouvre drawings. The Ports of Auckland has about 1500 shipping arrivals a year. Ports of Auckland Senior Pilot John Barker says they we are always looking for ways to do more with less. “We use a crane and straddle simulator to train our crane and straddle drivers, a move which has improved our efficiency and saved $3 million dollars in training costs. Elayyan’s LWA team recently produced a cool app to help courier drivers in the Middle East, for multi-billion Dubai-based company Aramex. With 13,900 employees at 354 locations across 60 countries, Aramex is the largest logistics and transport services company in the Middle East. Last year, Aramex bought New Zealand courier firm Fastway, which has an annual turnover of $500 million.